Last year I was out shooting a lot of photography and it got to the point where I was just forgetting about days I shot. This was one of those days. 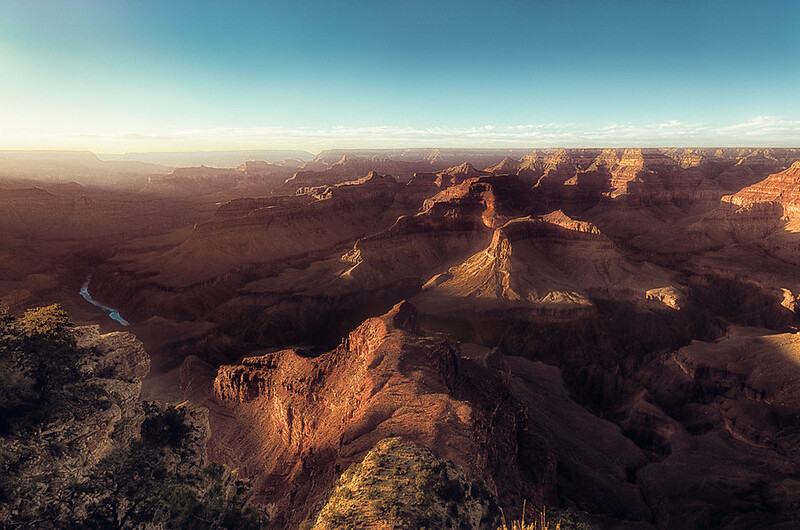 It's from the Grand Canyon at Mohave Point. I colored a few photos from this day and then moved on since later I went to the Horse Shoe Bend, Utah, and Japan, Bali, and China shortly thereafter. After firing up my old drive I decided to give a visit to some of my old forgotten HDR landscapes already colored and ready to go. This one was in the batch. It's from Mohave Point. It's on the south rim of the Grand Canyon and one of the west most points. it's supposedly has the best sunsets although we were unfortunate the night we were there. The clouds sucked.